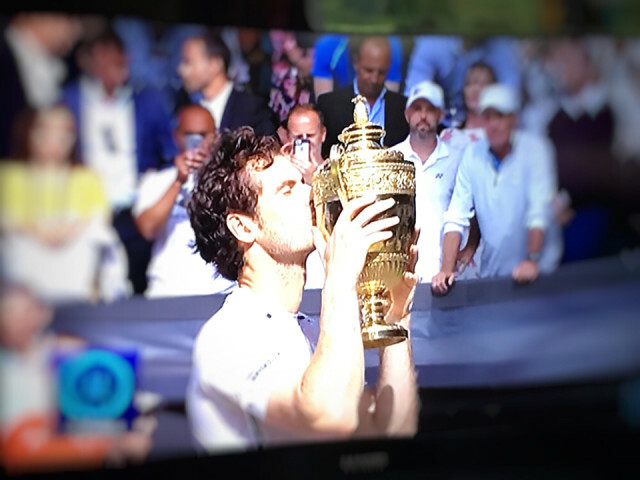 Andy Murray wins the Gentlemen's final at Wimbledon! Thoroughly enjoyed the brilliant championship match with Isla! Mummy, Daddy and both big sisters called in just in time to catch the final tie breaker, great celebration!